October is National Cookie Month! 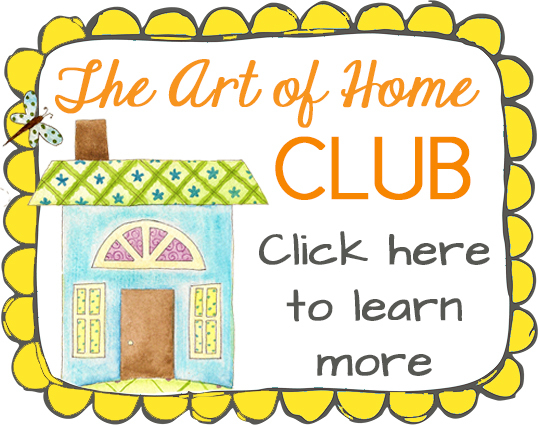 I will be featuring a new cookie recipe every Monday during October, so keep coming back to see what’s new. 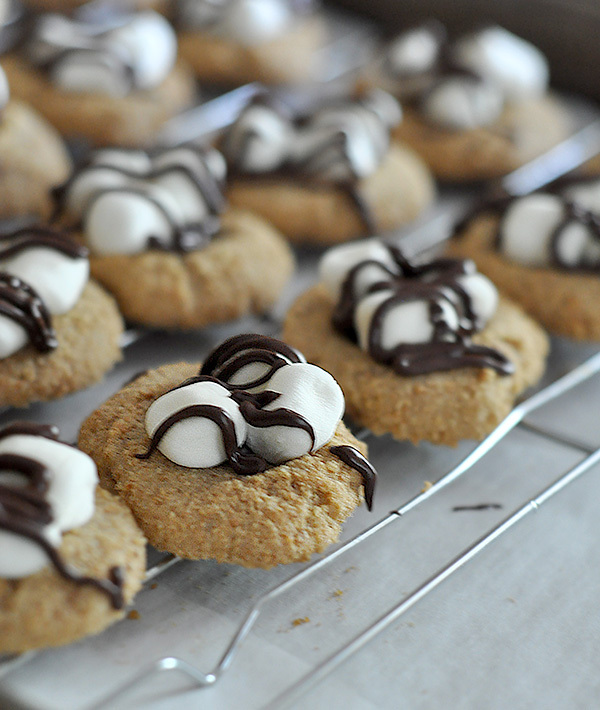 Today I am sharing a recipe for S’mores Thumbprint Cookies. Honestly, this is one of the best cookies I have ever made- the cookie itself has a wonderful tender texture and there’s “just enough” chocolate. It features all the flavors of one of America’s favorite treats in a neat little cookie. They are best when they are warm and gooey, so you can pop them in the microwave for just a few seconds before eating if you would like. Line baking sheets with parchment paper. Preheat oven to 325 degrees. Cream together butter and sugar in mixer. Add egg and vanilla and mix until combined. Stir in flour, 1 cup of the graham cracker crumbs, and salt. Mix until well combined. 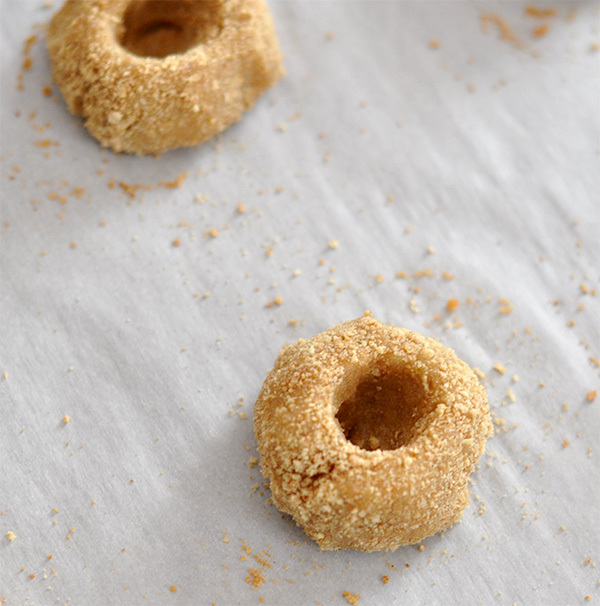 Drop tablespoonful’s of dough into remaining graham cracker crumbs and roll into balls, coating with the crumbs. Place on baking sheets about 2 inches apart. Use your finger or the handle of a wooden spoon to make a deep indentation in each cookie. Place 4 chocolate chips in each indentation. Bake for 7-8 minutes until cookies begin to set but are still soft. Remove from oven and place 3 marshmallows on top of each cookie. Return to oven and bake an additional 2 minutes. Remove cookies from trays to baking racks to cool. Melt remaining chocolate chips over low heat in a double boiler or in microwave (if chocolate is not smooth, you can stir in 1/2 teaspoon of vegetable oil.) Place melted chocolate in a small bag and use scissors to snip a tiny hole in the corner of the bag. 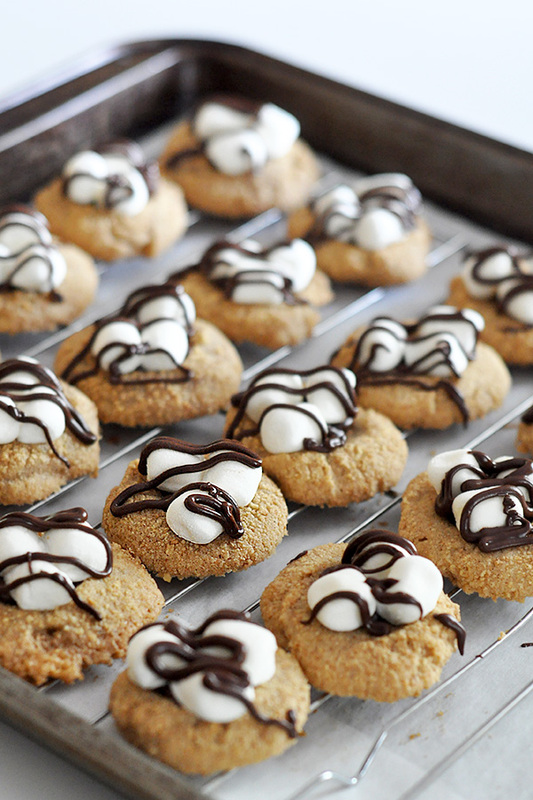 Drizzle cookies with melted chocolate. If you liked this recipe, please share it on Pinterest, Facebook, or Twitter! There are handy-dandy button below!! 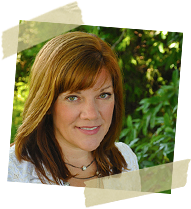 Thanks, Jacque! They did come out REALLY good- I could have eaten the whole plate myself! But I didn’t…. I only ate about half. ha ha. oh ya, i am going to make these!! yum!! Please give them a try and tell me you think! I really thought these were some of the best cookies I ever made. Oh, must make these for my grandson. He loves S’mores so I can see him eating a lot of these. Maybe even half a plate. LOL! Thanks Dina :) Make sure you stop back next Monday for a new cookie recipe! OMG, cannot take my eyes off of these beauties!! What a great idea to make thumbprint cookies!! Bookmarking this recipe!!! Thanks for sharing the idea!!! Those look AMAZING! I bet I could eat a whole batch myself! Your photos are wonderful and really make these look soooooo gooood!!! S’mores refers to a treat that the Girl Scouts have around the campfire. You toast a marshmallow on the fire, then stick it between 2 graham cracker cookies along with a piece of milk chocolate bar. The chocolate melts and the marshmallow is all gooey and they are really messy and delicious! So good that you want Some More (S’mores!). So anything which combines chocolate, marshmallow, and graham cracker is now referred to as “s’more”. I don’t know if you have graham crackers downunder. They are a very crispy flat cookie which come in a sheet and are not very sweet. Cookies look good and I will be able to make them non-dairy for granddaughter. Is there a possibility that you could have a print option? I really like a lot of your recipes but most don’t have a print option. Sharon, I’ve added a downloadable PDF option. Enjoy!